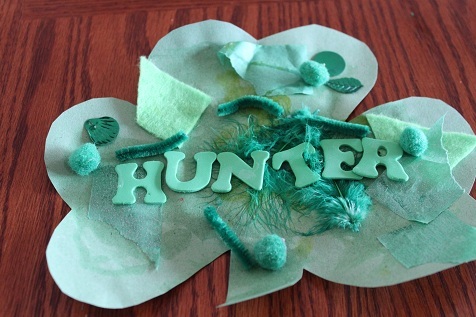 Since Saint Patrick’s Day is only a few days away and because Hunter is learning the color green, I thought it would be fun to make a shamrock using all different green collage materials. 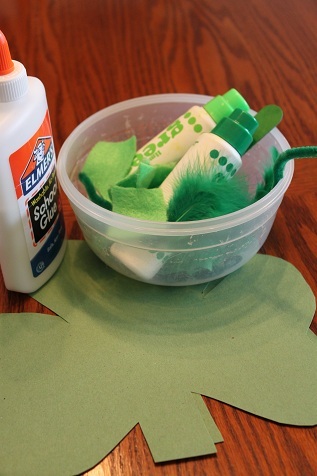 First I gathered our supplies- glue, shamrock shaped paper and all the green things I could find. 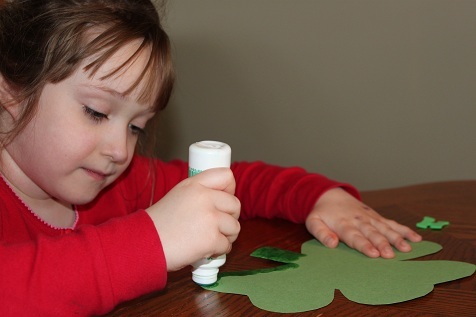 Next they used the do-a-dot markers to decorate the shamrock. 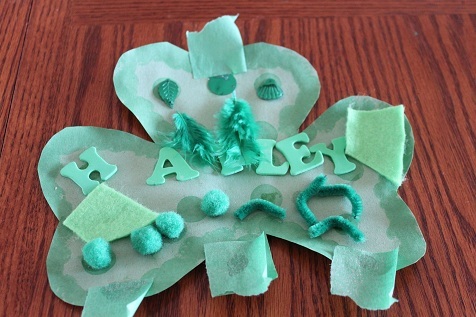 Add on some green collage materials. Hunter loved this! 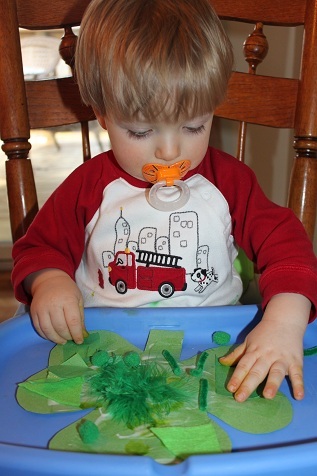 I put the glue on his shamrock and then he put the pieces on. He kept picking them up and moving them around. This kept his attention for quite a while. 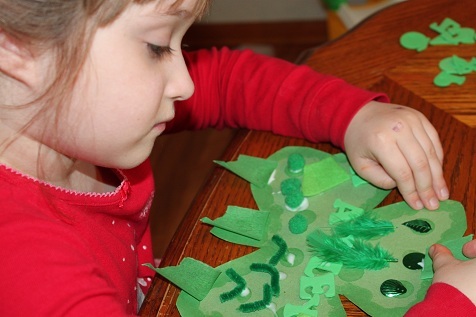 Hailey worked for a long time on hers too, she had to position everything just right.